I have to agree with @brydeemer, Isola is an enjoyable book. Bryan, there is a 10-page prequel that ran through the first five issues of Motor Crush (another good book) in case you're interested. Also, I think you'll like Highest House. 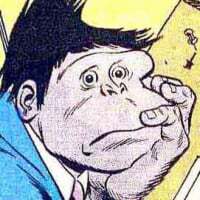 Re: Ed Piskor, you were pronouncing his name correctly. @wildpigcomics Lion Forge is a company that started as a digital publisher in 2011 and began publishing print comics in 2015. They focus on publishing books by racially and culturally diverse creators. In addition to their main line, Lion Forge has four imprints. Roar focuses on young adults and teens. CubHouse books are aimed at children 12 and under. Magnetic Press focuses more on quality than a specific focus or demographic, reminding me of the Criterion Collection in film. That imprint seeks to produce material that is socially relevant and thought-provoking. Catalyst Prime is a superhero line. I highly recommend this publisher. The books I've been reading from them have been among my favorites. The first issue of Infinity 8 was my pick for April's winner in last month's 2018 Reading Thread. Jeez, I'm blushing. Thanks for the kind words, everyone. Brian, I was hoping to see you at Gallifrey One, but I was unable to attend. Hopefully next year I'll make it. Nice to hear the Bryan and Brian dynamic once again! Poor Pants! As for the "manga in Japan" discussion. It's great that Bryan and his daughters (not his wife?) are gonna try and learn how to read Japanese. However, @brydeemer , you'll find that the language in manga will be quite different from what is in any language learning textbook you get. At least, that's been my experience since I've been here. Anyway, as for the rest of the show, as usual you guys tipped me to some comics that I would've otherwise missed. Thanks!